Mayon Volcano Natural Park is part of the Tentative list of Philippines in order to qualify for inclusion in the World Heritage List. An honest-to-goodness icon of the Philippines, a volcano of unquestionable beauty. 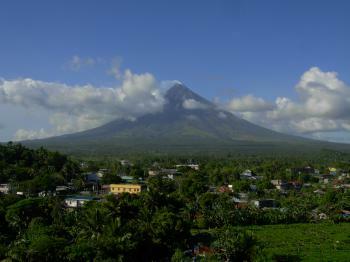 Mayon Volcano has erupted several times, providing very fertile soil within the area. The impact of her many eruptions has created a biologically diverse and resilient ecosystem.